We started this examination of Article III § 2 clause 1 by focusing on law and equity. To see these two jurisdictions and the relationships between them, in more detail, we examined three concepts: unconscionable contracts, injunctions, and unjust enrichment. Now that we better know how law and equity once functioned in practice, we’ll speak of them within the context of the judicial system in general. Before, during, and after the War for Independence and the adoption of the Constitution, American society was soaked and animated with ideas that were embodied in the common law. The common law had "originated in the medieval English royal courts.". 2 It was "the body of judge-made law that was administered in the royal courts of England (King’s Bench, Common Pleas, Exchequer, and Exchequer Chamber) – in contrast with other bodies of English law administered in different courts, such as equity, admiralty, canon law, and the customary law of the borough and manorial courts.". 3 But in at least one respect, the common law was understood to be more than "judge-made law" that originated from England. That’s because it was commonly understood that, "In a broad sense, ‘common law’ may designate all that part of the positive law, juristic theory, and ancient custom of any state or nation which is of general and universal application, thus marking off special or local rules or customs.". 4 That’s because respected philosophers (like John Locke) and legal authorities (like William Blackstone) described it that way. To the extent that "common law" was understood to be this natural law that had "universal application" as human law, it is equivalent to what we’re calling the mandate against bloodshed. 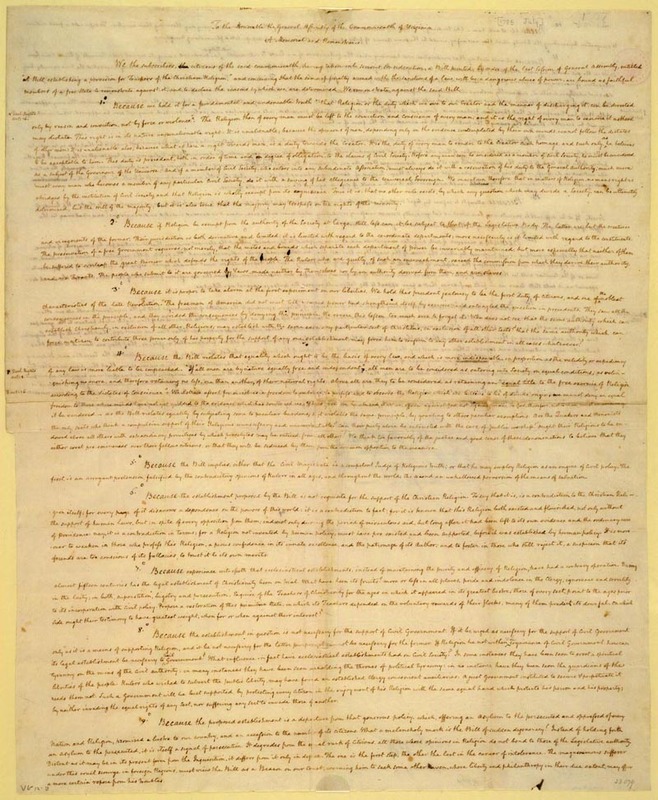 But to the extent that the common law supposedly had this "universal application" and simultaneously failed to clearly differentiate and flesh out the distinctions between the global bloodshed jurisdiction (i.e., jural) and the local compactual / contractual jurisdiction (i.e., ecclesiastical), the equivalence between "universal" common law and global positive law is rough, dirty, and unreliable. Even so, this "universal" conception of common law was not the conception that was most crucial to the newly birthed nation. William Blackstone also "described the common law as the general customary law of the realm as interpreted by the royal judges". 5 It was understood to be law "which, by common adoption and acquiescence, and by long and unvarying habit, [had] become compulsory, and [had] acquired the force of a law with respect to the place or subject-matter to which it relates." 6 So the judges of the common-law courts administered such custom and usage. This legal system that developed in England was very different from the legal systems that developed in continental Europe, since the latter were "code-based legal systems" that descended from the Roman Empire. These code-based systems were called civil law, and "common law" was sometimes used to distinguish such code-based law from such custom and usage-based law. Even though the Constitution and statutes of the early years of the republic neglected to state clearly whether there was a common law belonging primarily to the general government, they did nevertheless make it clear that the "Supreme Court is a common-law court.". 19 "The Philadelphia Convention of 1787 rejected language that would limit federal jurisdiction to matters controlled by congressional statute. Thus the Constitution implicitly recognizes the Supreme Court as a common-law court, as does the Seventh Amendment in the Bill of Rights.". 20 — Many Americans complain these days about judge-made law. But the framers deliberately left the judiciary of the general government with the power to make law from the bench, so long as the law pertained to the case or controversy at hand. So the problem is not judge-made law, any more than the fact that our entire judicial system is founded on common law is a problem. Bad law is the real problem. Bad law can, and does, derive from the bench, from the legislature, from the executive, and from administrative agencies. The same Americans who complain about one judge-made law will ignore another, and pretend that it’s OK. In United States v. Hudson and Goodwin (1812), the supreme Court cleared up some of this fuzziness by indicating that there is no "federal common law of crimes". 21 The court took another step toward clarity in Wheaton v. Peters (1834), when it indicated that there is no "federal civil common law". 22 — It’s realistic to expect judges to generate judge-made law whenever an issue comes before the court that demands more than a mere interpretation of a statute. If a court merely interprets statutes and applies the interpretation to facts, then the court is functioning as a civil-law court. But if it cannot find sufficient direction about how to develop an opinion about some certain set of facts, from previous opinions about statutes, directly from statutes, or from a State’s common law, then the court is left with no options but to generate a judgment that is judge-made law. Later, if the legislature sees fit, the legislature might create a statute that covers the issue addressed in the judge-made law, and thereby overrules it. Because of this latter fact, there is not very much common law generated by the judges of the general government, which continues to stand as common law for extended periods of time. — When the supreme Court claimed that there was neither a "federal common law of crimes" nor a "federal civil common law", it was in essence indicating that existing statutes and the common law of the States more than adequately covered these arenas. In 1842, by way of an opinion written by Justice Story in Swift v. Tyson, the supreme Court reinterpreted the Judiciary Act of 1789. 23 Story claimed that when the Act stipulated that "the laws of the several states . . . shall be regarded as rules of decision in trials at common law", "laws of the several states" included State statutes and "the law of real property", but excluded "contracts and other instruments of a commercial nature". 24 Swift claimed that such "contracts", etc., should be interpreted using "general principles and doctrines of commercial jurisprudence". 25 Swift thereby made it possible for a "federal" common law to develop in the area of contracts and commercial instruments. But this possibility did not really lead to the development of any significant amount of common law at the level of the general government until after the War Between the States. After the War Between the States, legislatures of both the general government and the States started passing numerous statutes to regulate the economy. Generally, State judiciaries – being worthy agents of what they thought, in essence, were religious social compacts (the States) – found in favor of these attempts at regulating the economy. But the judiciary of the general government tended to use "doctrines of substantive due process and liberty of contract . . . to annul federal and state economic regulation". 26 Because of increased commerce across State borders after the War, there was an increase in cases falling under the general government’s diversity jurisdiction. So there was a huge increase in "federal" commercial common law. — The bulk of this general common law was essentially the product of a war between quasi-Marxists who wanted to regulate the economy, and capitalists who wanted a nationally consolidated economy (crossing State borders without local interference) for the sake of self-enrichment. 27 That war continues today. It’s a war between two competing visions of the Tower of Babel. The real battle for Bible-believing people pertains to a much more fundamental war between forces attempting to establish a Tower of Babel, and forces attempting to establish the kingdom of God on earth. In 1913 the Tower of Babel forces made three huge victories: (i)the 16th Amendment, which purported to give Congress "power to lay and collect taxes on incomes"; (ii)the 17th Amendment, which divested power to elect Senators of the general government from State legislatures, and invested that power in the general population, thereby making another major step away from the compact theory of government, and towards a Hamiltonian national consolidation; and (iii)the Federal Reserve Act. 28 Because the nature of our laws is so intimately connected with the nature of our money, our banks, and our commerce, we’ll leave these two amendments for some other setting, and focus on the effects of the Act. Some infamous economists, historians, and legal scholars would argue (i)that in the early part of the 20th century, America and the world as a whole were threatened with a mass adoption of Marxist ideology; (ii)that capitalists, 29 especially bankers, urged the adoption of the Federal Reserve Act of 1913 as a way to protect capitalism against the threat of Marxism; (iii)that Keynesian economics was adopted because it was consistent with the central banking system created by the Federal Reserve Act, and with the inflationary / debt-based monetary system that the Act created; (iv)that adoption of these things protected capitalism, the Constitution, and everything good about America, against the "collectivist" threat. — On its face, this may seem to be a plausible argument. But under scrutiny it doesn’t hold up. This is because the record proves that the bankers who run the system care little about political agendas, and care immensely about procuring monetary power. It is an undeniable historical fact that they have supported both sides of this apparent Marxist / capitalist divide. In the final analysis, these central bankers have supported both the Marxist vision of the socialist Tower of Babel, and the quasi-Marxist (Fabian socialist / capitalist) vision of the socialist Tower of Babel. But they have fervently opposed true exponents of the free market, because the latter group is inherently opposed to the existence of any central bank. For them to support exponents of the free market is for them to support their own demise. The true cultural war at work in the united States is not between two schools of socialism, both of which are ultimately the Tower of Babel redux. The true war is between exponents of the Tower of Babel redux – regardless of whether they be Marxist-Leninist, quasi-Marxist, national socialist, Islamo-fascist, or central-bank "capitalist" – and people who reject all visions of the Tower of Babel (i.e., people who believe fervently in the free market). — Some people might worry: What would happen to America if we genuinely sponsored such a free market? — Doing so would inevitably entail the criminalization of fractional reserve banking, 30 the elimination of fiat money, the elimination of legal tender laws (as they pertain to private contracts), the repeal of the Federal Reserve Act, the abandonment of this debt-based monetary system in favor of a substance-based system, and repudiation of most Keynesian economics. It would also entail massive changes in our laws, especially as they pertain to commerce, banking, and money. 31 We’ll just try to hit a few high points here. Between 1865 and 1933 this common law under the general government – pertaining mostly to diversity jurisdiction with regard to geography, and pertaining mostly to subject matter defined by commerce and contracts. – developed into an important feature of the jurisdiction and function of the general government. This judge-made law grew into a substantial body of positive law that protected the liberty to contract, and property in general, through a concerted focus on the "due process clause" of the 14th Amendment: "nor shall any State deprive any person of life, liberty, or property, without due process of law". Given that all the States, prior to the War Between the States, had conceived of themselves, in effect, as religious social compacts, having ecclesiastical police powers regardless of ecclesiastical consent, there was a huge amount of legal deadwood in the States that needed to be cleared away in order to convert them into secular social compacts. In effect, the quasi-Marxist vision of the American Tower of Babel held that the entire nation should be turned into a nationally consolidated religious social compact that relegated consent to oblivion, at least with regard to commerce and contracts. On the other hand, the capitalist vision of the American Tower of Babel held, in effect, that the entire nation should be turned into a secular, commercial, Disneyland, in which religious social compacts were driven into obscurity, consent was circumvented through quasi contracts combined with contracts of adhesion – and police powers that rightly belong only to religious social compacts would be pushed down to local governments (even though the latter are really secular also). In this war between the two Towers, no matter which Tower was winning, the vision of God’s kingdom was losing ground. There were numerous cases of the general government that pitted presumed "federal" and State powers to regulate the economy against a court dedicated to preserving individual liberty through the due process clause. For example, in 1928 the supreme Court heard a case now commonly called Black & White Taxicab. In that case, the "federal courts invoked a Swift-derived ‘general law’ to enable a corporation to avoid state antitrust legislation. Disturbed by such use of federal judicial power, progressives determined to eradicate Swift.". 32 As indicated elsewhere, antitrust legislation is based on false assumptions about how the market operates. So it’s inherently bad law. But if a lawful religious social compact wanted to have its own local antitrust laws, as long as the ecclesiastical compact was based on consent, such antitrust laws would be lawful, even if they were stupid. If States were religious social compacts, then their antitrust laws would be lawful, even if stupid. But the States are not religious social compacts, and never were, even though they in effect pretended to be. They are emphatically secular social compacts. In Black & White Taxicab, "progressives", i.e., quasi-Marxists, tried to get the courts to uphold such bad law, and such pretenses. In the 1928 case, the quasi-Marxists failed. — And so this war of the two Towers went on, both sides claiming moral superiority, and each side being seriously flawed. In 1933, as a result of the Federal Reserve’s mismanagement of the monetary system, the nation became officially bankrupt, and our monetary system shifted from being based on substance (a glorified barter system) to being based on debt (a glorified feudal system). 33 Ever since then, Congress has been sitting as trustees in bankruptcy. Shortly after the national bankruptcy, President Roosevelt and Congress cooperated to have the procedures of the judiciary of the general government modified. On June 19, 1934, Congress passed the Federal Rules Act, 34 and the president made it law shortly thereafter. This Act gave the supreme Court the power to change the rules of procedure of the "federal" judiciary. In 1937, Roosevelt attempted to foist his court-packing scheme on the nation. As a result, "federal" judges resigned, died, or decided to go along with the quasi-Marxist agenda. By 1938, Roosevelt had the kind of cooperative supreme Court that he wanted. The same year the court heard Erie Railroad Co. v. Tompkins. 35 The majority used the opportunity afforded in Erie to rid themselves of all the common law that had developed directly under the general government. In other words, they ruled that the majority opinion in Swift v. Tyson was un-constitutional. When the 1938 court overruled Swift, it eliminated all the federal common law that had developed to protect the liberty to contract and property rights via the due process clause of the 14th Amendment. The opinion maintained that "there is no federal common law". The opinion claimed that Swift was inconsistent with Section 34 of the Judiciary Act of 1789. 36 That section is commonly known as the Rules of Decision Act, and as indicated above, it stipulates that "the laws of the several states . . . shall be regarded as rules of decision in trials at common law". The Erie opinion presumed to be based on "State’s rights", i.e., "rights reserved to the states by the Tenth Amendment". 37 — To the extent that States are lawful secular social compacts, the 10th Amendment is potentially a powerful tool for the protection of local sovereignty. But to the extent that States pretend to be religious social compacts when they are not, and thereby abuse rights, the 10th Amendment should not be used to protect States. But that’s precisely how Erie uses the 10th. Even though Erie claims that "there is no federal common law", the opinion simultaneously "acknowledged the existence of bodies of specialized federal common law. . . . Today, federal courts must generally follow state substantive law, including state common law.". 38 If States operated as lawful secular social compacts, this would be fine. But they don’t. In fact, the effect of Erie was to destroy the liberty to contract and to abuse property rights. In combination with the rest of the New Deal and the national bankruptcy, Erie helped to destroy the concept of private property, and to make all property public. To the extent that States are prone to abuse rights, Swift was necessary, and a federal common law of contracts and commerce was necessary. If States became lawful secular social compacts, then such a federal common law of contracts and commerce would probably not be necessary. Nineteen thirty-eight was a nearly perfect year for the quasi-Marxists. Not only did Erie destroy efforts by the general judiciary to protect liberty to contract and basic property rights, but the supreme Court also implemented major changes in judicial procedures, in accordance with the Federal Rules Act of 1934. If you remember what judicial sophistry was necessary to circumvent rigid rules and procedures in Moses v. Macferlan, then you’ll understand how important sound rules are to a rational, reasonable, and just legal system. — Did the supreme Court make the "Federal Rules" better in 1938, or worse? When a sufficient number of supreme Court justices existed who were friendly to the quasi-Marxists, the Court decided to go ahead and implement the Federal Rules Act of 1934. The main thrust of the modification of these "Rules" was the merging of law and equity. What were once actions at law and actions in equity are now combined into a single type of action. All such actions are now called civil actions: "In the federal courts, and most state courts, there is only one form of action – civil action – which embraces all actions formerly denominated suits in equity and actions at law. While there has been a merger of law and equity for procedural purposes, substantive principles of equity still govern.". 39 Notice that "substantive principles of equity . . . govern". In other words, substantive principles of "Law" do not govern. This supposed merger of the "Law and Equity" jurisdictions generated a body of law called the "Federal Rules of Civil Procedure". It is defined as a "Body of procedural rules which govern all civil actions in the U.S. District Courts and after which most of the states have modeled their own rules of procedure. These rules were promulgated by the U.S. Supreme Court in 1938 under power granted by Congress, and have since been frequently amended. Such rules also govern bankruptcy proceedings in the bankruptcy courts; and Supplemental Rules, in addition to main body of rules, govern admiralty and maritime actions.". 40 Before 1938, "types of action" was an important legal expression. This phrase was "used to describe action for damages as distinguished from suit in equity for equitable relief. This distinction however has been abolished under Fed. Rules of Civil Procedure and in those states which have adopted Rules tracking the Federal Rules.". 41 These two types of action are "now merged in all jurisdictions including the federal". 42 — Is this merger lawful? In the common law adopted during the period of the framing of our organic documents, it was well known by every ordinary American that "the duty not to commit a tort rests upon every man in favor of every other man". 43 In other words, the prohibition against torts, subtle delicts, had global application, because such prohibition was understood to be globally prescribed human law. In contrast to this, it was understood that the contractual obligation "is always imposed upon a particular person". 44 In other words, contracts apply to people who consent to being party to contracts, not, emphatically, to everyone. So this merger cloaks the clear distinction between actions ex delicto and actions ex contractu, and between what constitutes bloodshed and what doesn’t. Legally, the bankruptcy of 1933 made every citizen a debtor. A debtor, by definition, is party to a contract, the creditor being the other party. The bankruptcy of 1933 made the Federal Reserve System into the nation’s creditor, and it made the citizens and secular governments debtors. — This is one of the arguments the general government might use to rationalize the presumed merger of law and equity. But this merger is essentially a violation of Biblical jurisdictions. If the jural and ecclesiastical jurisdictions are clearly understood, and kept separate and distinct, then they can function well together under a single social compact. But if their distinctions are ignored, the attempted blending of these jurisdictions has the same effect as adherence to the Marxist maxim without cognizance of these distinctions. It leads to a totalitarian state because every day, it abuses someone’s rights and pretends to be perfectly justified in it. Be certain, some victims are convinced that it’s not justified. The more the government abuses your rights, the more you’ll be convinced that you’re living in a nation like the Roman Empire, or like the Soviet Union, rather than in a nation like the one envisioned by the framers. This merger of law and equity is essentially the creation of a new jurisdiction. By essentially eliminating the "Law" jurisdiction, and forcing it’s subject matter into equity, and pretending that the two are one, "Law" is abolished in violation of the Constitution, and equity becomes something that it is incapable of being, in violation of the Constitution. Any pretense that contracts are global, and do not require consent, is inherently treacherous. It is a veiled attempt at destroying the ancient distinction between contracts and delicts, between actions ex contractu, and actions ex delicto. To claim that there is only one kind of action is not only foolish. It’s an anti-Biblical abomination. In his Commentaries on the Laws of England (1765-1769), 45 William Blackstone warned well against merging law and equity. [W]hat we call equity . . . is . . . "the correction of that, wherein the law (by reason of its universality) is deficient." For since in laws all cases cannot be foreseen or expressed, it is necessary, that when the general decrees of the law come to be applied to particular cases, there should be somewhere a power vested of defining those circumstances, which (had they been foreseen) the legislator himself would have expressed. And these are the cases which . . . ["law does not define exactly, but leaves some discretion to the wise judge"]. The Depression-era national-socialist quasi-Marxists considered themselves smarter than Blackstone, smarter than the framers, and smarter than God. By blending law and equity, they eliminated law. We now have a legal system that is practically as fiat as our money. Like ignorant sheep we’ve followed these arrogant do-gooders. They lead us to oblivion. When the general government pretends to blend law and equity, it amends the Constitution unconstitutionally. Amendment to the Constitution demands adherence to the amendment process delineated by the Constitution. 47 Creation of a new Article III § 2 Clause 1 jurisdiction without adherence to that process is inherently treacherous, traitorous, and criminal. The conversion of our monetary system from a substance-based system to a debt-based system is inherently in violation of biblical standards of morality, because it inherently violates the just weights and measures principle. Because it violates our religion, Bible-oriented Christians should refuse to accept it. Likewise, we should refuse to accept the Federal Reserve Act of 1913 as lawful, for the same reason (and because it violates the plain meaning of the Constitution, and just weights and measures). It’s also essential for us to reject this newly concocted jurisdiction, on religious grounds, grounds of unalienable Rights, and numerous other grounds. It’s important for us to maintain our common-law foundations. But it’s also important for us to correct the courts when, through stare decisis, they attempt to (or actually do) propagate bad decisions over periods of decades, generations, and centuries. As we’ve shown in this analysis, bad decisions exist at every level, from the township to the general government, and in every branch. 12 Writings of James Madison, p. 191. Some concluding arguments in Madison’s "Memorial and Remonstrance". This quote appears in Justice O’Connor’s dissenting opinion in Boerne v. Flores. — Also see point 15 in The Founder's Constitution at University of Chicago Press, URL: http://press-pubs.uchicago.edu/​founders/​documents/​amendI_religions43.html, and at Library of Congress, URL: http://www.loc.gov/​exhibits/​madison/​images/vc3.jpg. 2The Oxford Companion to the Supreme Court of the United States, p. 171, "Common-Law Court", by Richard F. Hamm. 3The Oxford Companion to the Supreme Court of the United States, pp. 170-171, "Common Law", by William M. Wiecek. 5The Oxford Companion to the Supreme Court of the United States, pp. 170-171, "Common Law", by William M. Wiecek. 7The Oxford Companion to the Supreme Court of the United States, pp. 430-432, "Injunctions and Equitable Remedies", by James B. Stoneking. 11The Oxford Companion to the Supreme Court of the United States, p. 171, "Common-Law Court", by Richard F. Hamm. 12The Oxford Companion to the Supreme Court of the United States, pp. 170-171, "Common Law", by William M. Wiecek. 13The Oxford Companion to the Supreme Court of the United States, p. 171, "Common-Law Court", by Richard F. Hamm. 14The Oxford Companion to the Supreme Court of the United States, pp. 430-432, "Injunctions and Equitable Remedies", by James B. Stoneking. 15The Oxford Companion to the Supreme Court of the United States, p. 171, "Common-Law Court", by Richard F. Hamm. 16 See Judiciary Act of 1789 in Statutes at Large at Library of Congress, URL: http://memory.loc.gov/​cgi-bin/​ampage?​collId=​llsl&​fileName=​001/​llsl001.db&​recNum=196. 17This quote is from the Judiciary Act of 1789 § 34, URL: http://memory.loc.gov/​cgi-bin/​ampage?​collId=​llsl&​fileName=​001/​llsl001.db&​recNum=215. — Also see The Oxford Companion to the Supreme Court of the United States, pp. 259-260, "Erie Railroad Co. v. Tompkins", by William M. Wiecek. 18The Oxford Companion to the Supreme Court of the United States, pp. 259-260, "Erie Railroad Co. v. Tompkins", by William M. Wiecek. 19The Oxford Companion to the Supreme Court of the United States, pp. 170-171, "Common Law", by William M. Wiecek. 20The Oxford Companion to the Supreme Court of the United States, p. 171, "Common-Law Court", by Richard F. Hamm. 21The Oxford Companion to the Supreme Court of the United States, pp. 170-171, "Common Law", by William M. Wiecek. — Also see The Oxford Companion to the Supreme Court of the United States, p. 171, "Common-Law Court", by Richard F. Hamm. 22The Oxford Companion to the Supreme Court of the United States, pp. 170-171, "Common Law", by William M. Wiecek. — Also see The Oxford Companion to the Supreme Court of the United States, p. 171, "Common-Law Court", by Richard F. Hamm. 24The Oxford Companion to the Supreme Court of the United States, pp. 259-260, "Erie Railroad Co. v. Tompkins", by William M. Wiecek. 25See page 19 of Story’s opinion in Swift v. Tyson. 26The Oxford Companion to the Supreme Court of the United States, pp. 259-260, "Erie Railroad Co. v. Tompkins", by William M. Wiecek. 27We’ll define a quasi-Marxist as someone who adheres to the Marxist maxim (URL: ./0_4_1_0_3_Art_III_Sec_2_Cl_1_(Unj_Enrich).htm​#UnjustEnrichConcl) whenever it’s convenient. They have little or no commitment to reason or principles in law, and claim adherence to the Marxist maxim when it’s "pragmatic", and abandon it when it’s not. Such people are sometimes known as "fabian socialists" and "cultural Marxists". 28For a thorough analysis of the Federal Reserve Act and the banking and monetary systems that it created, see The Creature from Jekyll Island. 29To understand what we mean by "capitalist", it’s essential to understand what we mean by capitalism. Capitalism is best understood relative to a free market. A free market develops naturally in any society dedicated to a consent-focused compact theory of government. Capitalism warps the free market via adherence to fractional reserve banking, fiat money, and assumptions about government that relegate consent to irrelevance. 30As indicated elsewhere, fractional-reserve banking is not merely a risky and sloppy way to run a bank. It is fraud, because – for one thing – it treats demand deposits as though they were time deposits, and thereby breaches contracts the bank makes with demand depositors. But when banks start creating money out of thin air (It’s called counterfeiting. ), they generate fiat money and inflate the money supply, thereby stealing purchasing power from everyone else. 31To see a practical proposal for transiting from the present banking/monetary system to a free market system, see The Creature from Jekyll Island, pp. 565-588, Chapter 26, "A Realistic Scenario". 32The Oxford Companion to the Supreme Court of the United States, pp. 259-260, "Erie Railroad Co. v. Tompkins", by William M. Wiecek. 33For a thorough examination of this transition, see The Creature from Jekyll Island, pp. 471-503, Chapter 23, "The Great Duck Dinner". 34See Public Laws from 73d Congress, Session II, Chs. 651, 652, p.1064. Also see 28 U.S.C.A. §§ 2071, 2072 or 28 USC §§ 2071, 2072 (URL: https://www.law.cornell.edu/​uscode/​text/​28/​part-V/​chapter-131. 35304 U.S. 64 (1938) — The Oxford Companion to the Supreme Court of the United States, pp. 259-260, "Erie Railroad Co. v. Tompkins", by William M. Wiecek. 37The Oxford Companion to the Supreme Court of the United States, pp. 259-260, "Erie Railroad Co. v. Tompkins", by William M. Wiecek. 38The Oxford Companion to the Supreme Court of the United States, p. 171, "Common-Law Court", by Richard F. Hamm. 39See Federal Rules of Civil Procedure, Part 2 (Black’s 5th, p. 26). — Or see Federal Rules of Civil Procedure at Cornell Legal Information Institute, URL: http://www.law.cornell.edu/​rules/​frcp/​Rule2.htm. 41See Federal Rules of Civil Procedure, Part 2 (Black’s 5th, p. 26). — Or see Federal Rules of Civil Procedure at Cornell Legal Information Institute, URL: http://www.law.cornell.edu/​rules/​frcp/​Rule2.htm. 42The Oxford Companion to the Supreme Court of the United States, pp. 170-171, "Common Law", by William M. Wiecek. 43Modern American Law, vol. 7, pp. 366-367, "The Law of Quasi-Contracts", Chapter 1, "Nature and Extent of Quasi-Contractual Obligations", Section 4, "Quasi-contractual obligation as distinguished from the duty not to commit a tort", by Arthur M. Cathcart. 44Modern American Law, vol. 7, pp. 366-367, "The Law of Quasi-Contracts", Chapter 1, "Nature and Extent of Quasi-Contractual Obligations", Section 4, "Quasi-contractual obligation as distinguished from the duty not to commit a tort", by Arthur M. Cathcart. 46Blackstone’s Commentaries, Introduction, § 2, "Of the Nature of Laws in General", pp. 61-62, URL: http://www.lonang.com/​exlibris/​blackstone/​bla-002.htm. 47See Article V, URL: ./0_5_Art_IV-VII.htm​#Article5.